PAUSE! Enjoy the setting, reconnect with friends, learn at our accredited workshops and reflect on the inspiring words of keynote speaker Dr. Michael Kirlew. STOP any worries! Enjoy teaching sessions, taught by our Department’s best teachers, with concurrent sessions that allow flexibility. PLAY and have fun! Enjoy some novel ways to teach and learn, be creative and dance up a storm with the Mike McSheffrey Band! Thank you for joining us at this year’s retreat as we discover and celebrate the many successes of our Department. I look forward to recognizing those who have reached a Years of Service milestone in 2018, and learning with you from our exceptional faculty. As we participate in this retreat, I challenge you to consider what family medicine will look like in 30 years. What are we doing today that will have an impact on how family medicine is practiced and taught in 2050? What can we do now to prepare our learners and ourselves for this future? We will be exploring these ideas at the Departmental Assembly on Saturday morning and throughout our time together. I look forward to spending time with each of you, and for your input on what it will take to ensure we are the best Department of Family Medicine in Canada! Download a copy of the Agenda (PDF). "Living and Teaching our Social Accountability Mandate"
Escape Challenges as educational tools: The Calaboogies are coming! Describe areas of therapeutics which may benefit from the use of medical cannabis. Choose an appropriate cannabis formulation. In-patient teachers face special challenges. Hospital service hours are long, patients are often sick or complex, and learners can experience great stress. Learners can be overwhelmed. Faculty face challenges balancing their roles of clinician and teacher. How can faculty best juggle the roles of clinician (concerned with patient safety), while allowing learner autonomy, and a mix of teaching, supervision, feedback and assessment? The hospital service directors working at The Ottawa Hospital and Montfort FM in-patient services will facilitate case-based small group discussions, tapping into participant experience with common challenges. Southwick and Charney in “Resilience, The Science of Mastering Life’s Greatest Challenge” (2012) describe the ten contributing factors to resilience are optimism, facing fear, moral compass, religion & spirituality, social support, role models, physical exercise, mental exercise, flexibility & acceptance, meaning & purpose. Demonstrate methods, techniques and tools that improve resiliency in both their personal and professional lives. The Impact of Teaching Strategies - Escape Challenges as educational tools: The Calaboogies are coming! Escape rooms and challenges are theme-based entertaining leisure activities, often used for fun organizational team building. However, teachers at all levels use them as creative ways to engage learners, encourage small group collaboration, and build critical thinking skills. This will be a family-friendly, family-medicine focused team-based challenge. List pros and cons of experiential learning using outcomes-based design. Locate the “Fooms-Day” device before the Calaboogies arrive. (It is an escape challenge after all). Faire face à l'incertitude est un défi que tous les médecins et surtout les médecins de famille doivent apprendre à gérer. Social Accountability seeks to better address the health concerns of specific communities underserved by the current health care system. At Centretown Community Health Centre, we have developed a two-week Family Medicine elective for 4th year medical students focused on the care of underserved, marginalized populations. Lessons learned about how to structure brief electives with major impact will be shared, citing examples from a program which seeks to model provision of a full range of health and social services while removing barriers to access (language, culture, gender identity) and affirming a commitment to respect and diversity. Discuss barriers to health care for newcomers, transgender, the elderly, and people living with addictions, mental illness, and poverty. Describe how to actively connect learners to training experiences in Community Health Centres to complement other undergraduate and postgraduate training experiences. Share strategies for having maximum impact when working with learners for only a short amount of time. Competency based education depends on the learner and the preceptor having a plan for competency acquisition. A learning plan helps to make sure that the all parties are fully aware of the learning goals and the strategies to gain them for the star learner, the on trajectory learner as well as the struggling or off trajectory learner. The Department of Family Medicine and the Faculty of Medicine have recently revised the Academic Support Website to update the website and to incorporate the principles of competency-based medical education. In this interactive workshop, we will review how to use the ASP as well as practice writing a learning plan. Note that this session is bilingual. Des stratégies pour enseigner “choisir” et “pratiquer” avec soin…sans oublier le patient individuel! | Strategies to teach residents to “choose” and practice “wisely”…without forgetting the individual patient! Family medicine faculty play an important role helping learners to stay up to date with the latest patient management recommendations, including avoiding unnecessary medical tests, prescriptions, treatments and procedures. However lectures are often seen by faculty and learners as in-effective teaching methods. Participants in this workshop will experience how this interactive, case-based “scavenger hunt” style approach has been used to engage learners in academic teaching, challenging them to apply what they have learned (and not just recall facts). Reflect on the pros and cons of using “experiential learning” as a substitute to lectures in their own clinical teaching. All the humanities, but stories in particular, can take us on a journey. Stories can affirm what we know, reveal something new, or simply spur reflection. For medical educators, reflection is a key skill to practice and teach: everyday we experience narratives related to our patients, their families, our learners, colleagues and families. In this ‘reading club’ or ‘flipped classroom’ approach, faculty will be sent four diverse short stories beforehand, and will participate in small group facilitated discussions of one or two of these stories. Describe ways that narrative medicine can generate curiosity, revitalize doctor-patient relationships, and enhance learning patient-centred care. Critically analyze short stories and find meaning in their own experiences as a community member, clinician or medical educator. Develop practical strategies (resources to adapt, facilitation tools and scripts) for implementing narrative medicine in clinical teaching. Propose at least one additional story or author for future faculty ‘reading clubs’. Renowned physician advocate Dr. Michael Kirlew will present the Keynote Address on the evening of Friday, October 19 on "Living and Teaching our Social Accountability Mandate”. Dr Michelle Anawati is a community francophone Family Physician with active privileges at the Montfort Hospital. She is currently director of the Family Medicine Clerkship program - francophone stream, member of francophone affairs and lecturer at the University of Ottawa. Her community practice is general with a special interest in the determinants of health steaming from her background as a social worker. Recipient of the Faculty of Medicine’s collaborator award in 2017, Dr Anawati enjoys collaborating with students and francophone community preceptors to highlight the important role they play in the care of their patients and the advancement of medical education. Leonard Bloom obtained an undergraduate degree in English Literature from McGill University and after working in Nigeria with CUSO, received his MDCM from McGill. He completed his Family Medicine residency at Memorial University and did a third year in Internal Medicine and Obstetrics at Queen’s University. He is very interested in undergraduate teaching and completed the Distinguished Teacher Program with the Faculty of Medicine at the University of Ottawa. As a family doctor, he recognizes the power of the therapeutic relationship and is interested in exploring how literature illuminates and enhances this relationship and improves diagnostic accuracy. Dr. Neel Chadha is a family physician who lives in Ottawa. He has a special interest in geriatrics and works at various retirement homes and nursing homes in the community. He also has privileges at the Ottawa Hospital and is co-director of the Inpatient Family Medicine Teaching Service at the General Campus. Dr. Marie-Hélène Chomienne is a Clinical Scientist at the C.T. Lamont Primary Health Care Research Centre, a Researcher at the Bruyère Research Institute and Senior Researcher at the Institut de recherche de l’Hôpital Montfort. She is also a research advisor for the Consortium National de Formation en Santé and the program coordinator for both the Program of Society, Individual and Medicine and the Family Medicine Resident Program at the University of Ottawa. Dr. Chomienne’s research interests are in primary mental health care, determinants of health and health status of Francophone minority populations. Dr. Chomienne has also focused considerably on primary health care services, the organization of primary care and improving primary care delivery through interprofessional collaboration. Dr. Alison Eyre was the Director of Postgraduate Education from 2011 - 2017. Her path to a career in medicine began at McGill University where she received her medical degree. She then went on to complete her residency at the University of Ottawa. Her clinical practice is at Centretown Community Health Centre. Dr. Carol Geller is the Academic Support and Remediation Director at the Department of Family Medicine. Her clinical practice is at Centretown Community Health Centre. Dr. Roland Halil is a clinical pharmacist within the Bruyere Academic Family Health Team and an Assistant Professor in the Department of Family Medicine at the University of Ottawa. He is a consultant with the Foundation for Medical Education at McMaster University. He completed his Bachelors of Science in Biochemistry with an Honours Year in Physiology at the University of Ottawa before completing his Bachelors of Science in Pharmacy at the Memorial University of Newfoundland, his Hospital Residency program at the Ottawa Hospital and his Doctor of Pharmacy degree (PharmD) at the University of Toronto. His area of research focuses on potentially inappropriate prescribing in primary care. He is an avid lecturer with a strong focus on logic and rational prescribing. Related interests include infectious disease in primary care, technology in health care and global health. Dr. Kay-Anne Haykal is the Assistant Dean, Student Affairs at the Faculty of Medicine of the University of Ottawa since July 2016. She is a family physician at the Montfort Academic Family Health Team and a hospitalist at the Montfort Hospital. Since her graduation in 2009, she has contributed significantly to the undergraduate medical education both at the Faculty of Medicine and the Department of Family Medicine. She acted as the Family Medicine clerkship director for both Francophone and Anglophone streams and became the director of Undergraduate Medical Education at the Department of Family Medicine in 2013. Dr. Haykal is also the president and lead physician of the Montfort Academic Family Health Team. She is passionate about education, self-discovery and health promotion for students, residents and patients. She has been featured in the Ottawa Woman magazine as Women in Medicine and has been a guest speaker on health promotion and education on radio. In her current role, she has implemented a new resilience curriculum as well as a new finance & innovation curriculum for medical students at the University of Ottawa. Dr. Kent obtained her medical degree from the University of Manitoba in 2002 and completed family medicine residency at the University of Ottawa in 2004. Since then, she has worked as a family doctor at Centretown Community Health Centre in downtown Ottawa where she is the medical electives coordinator. Dr. Kent has an interest in medical education and in 2018 she completed the Healthcare Education Scholars Program through the Department of Innovation in Medical Education at the University of Ottawa. 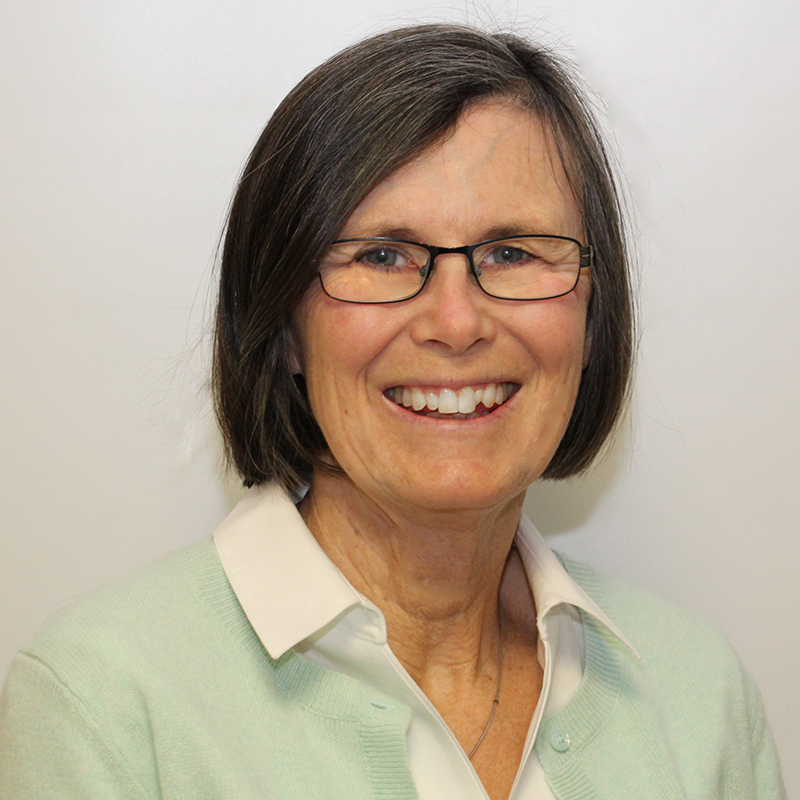 Dr. Kent is a Lecturer and Community Preceptor for the Department of Family Medicine and she is a member of the Social Accountability Leadership Team Committee for the Faculty of Medicine at the University of Ottawa. Dr. Kent has an interest in quality improvement and enjoys her role as a Peer Assessor for the College of Physicians and Surgeons of Ontario. Each year, she also enjoys taking on the role of patient while acting as an examiner for the Simulated Office Oral Exam in Family Medicine. 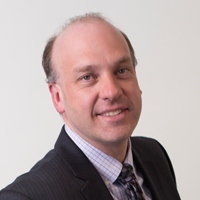 Dr. Jason Leclair is a family physician at the Central Ottawa Family Medicine Associates in downtown Ottawa and an Assistant Professor at the Department of Family Medicine, University of Ottawa. Dr. Leclair has a community family medicine resident at his office and is a co-director of the Family Medicine Inpatient Teaching Services at The Ottawa Hospital. He also practices ultrasound-guided sclerotherapy and is a Fellow of the Canadian Society of Phlebology. He completed his BSc, medical school, and residency training all at the University of Ottawa. His main interests include medical education, hospital metrics, and evidence-based practices in sclerotherapy. Denice Lewis is a family doctor in Ottawa and graduate of our residency program. Her professional interests include adolescent health, the humanities and medical education. Currently she holds the position of Curriculum Director in the postgraduate program. During the retreat if you see her feel free to stop and say hello. Dr. Doug Manuel is a Medical Doctor with a Masters in Epidemiology and Royal College specialization in Public Health and Preventive Medicine. He is a Clinician Scientist at the Bruyère Research Institute and Professor in the Departments of Family Medicine and the School of Epidemiology, Public Health and Preventive Medicine at the University of Ottawa. He is also a Senior Scientist at the Ottawa Hospital Research Institute and a Senior Medical Advisor for Statistics Canada. Dr. Manuel has been a primary care physician for 25 years, serving rural, remote and underserviced populations across Canada. His current practice is with refugees at the Ottawa Newcomer Clinic. Cleo Mavriplis is a clinician teacher at Primrose Family Medicine. With her nurse practitioner colleagues she published the Primrose Preventive guidelines in Canadian Family Physician in 2016. She is currently working on an update and an app for preventive care in Canadian adults. Jay Mercer is a clinician and the Unit Medical Director at the Bruyere Family Health Team, as well as the co-Director of the Family Medicine for Guyana project. Liz Muggah is the Director for Quality Improvement for the Department of Family Medicine and is a practicing family physician with a commitment to providing primary health care to vulnerable populations. She has worked as a physician at the Wabano Centre for Aboriginal Health and is currently a clinician at the Bruyère Family Health Team. Dr. Muggah holds a Masters of Public Health in Quantitative Methods from Harvard University and is a past recipient of a primary care research fellowship jointly supported by the CT Lamont Centre for Primary Care Research and the Institute for Clinical Evaluative Sciences (ICES). Alan Ng is a clinician-educator practicing at the Primrose Family Medicine Centre and is the Behavioural Medicine Lead for the Department of Family Medicine. HIs interests include teaching, learning and assessing the patient centred clinical method, use of the Humanities in family medicine education, and the doctor-patient relationship. He works as a clinician educator with the College of Family Physicians of Canada in the development of the Simulated Office Oral and also co-leads Balint groups for family medicine residents in uOttawa's family residency program in dealing with challenging doctor-patient relationships. Lyne Pitre est un médecine famille à Montfort depuis 1988. Elle est maintenant directrice de l'enseignement médical à Montfort. Elle a à coeur le gaspillage et l'efficience des soins. Le Dr Roy œuvre au sein du Bureau des affaires francophones de la Faculté de médecine de l’Université d’Ottawa. Il en a été le vice-doyen pendant seize ans et y œuvre maintenant en tant que directeur du Centre d’appui pédagogique en santé pour la francophonie qu’il a aussi créé. Il est aussi le directeur fondateur du programme Médecine et les humanités à la même faculté. Dr Jean Roy est aussi médecin de famille à l’Hôpital Montfort et professeur adjoint de médecine familiale au Département de médecine familiale de la Faculté de médecine de l’Université d’Ottawa. Il exerce la médecine familiale au sein de l’Équipe de santé familiale académique Montfort. Le Dr Roy s’intéresse à la santé des francophones et à l’amélioration constante de la formation des professionnels de la santé et des médecins. Il œuvre à l’amélioration du cursus de premier cycle mais aussi du deuxième cycle, de la formation professionnelle et pédagogique ainsi que de la formation continue en français. Il contribue notamment par la recherche et le développement d’activités et d’outils d’autoapprentissage, par l’utilisation innovatrice des technologies éducatives et par la planification systématique des activités d’apprentissage. Il est très intéressé par l’application concrète de la médecine fondée sur les preuves et par l’apport des humanités et des sciences humaines et sociales dans la formation en santé. We are always looking to improve and would love to hear your thoughts on our event. If you attended the faculty retreat please let us know how the day went by completing the evaluation and give us your feedback. Thank you! 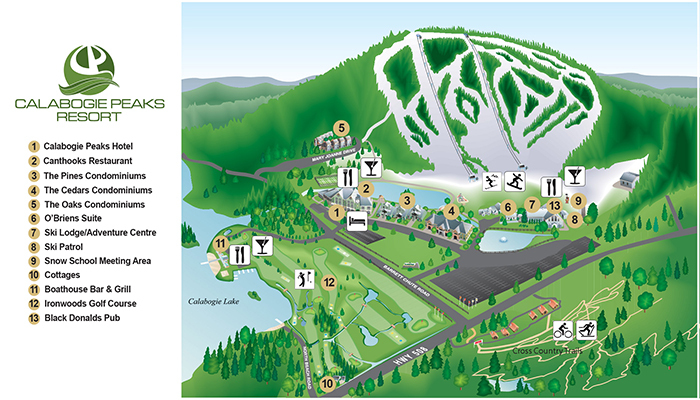 Join us at Calabogie Peaks Resort! Questions? Please contact Asiya Rolston at facdevdfm@uottawa.ca or at 613-5800 x 6899.